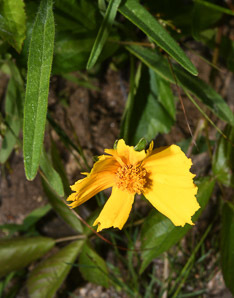 Coreopsis lanceolata L. var. villosa Michx. 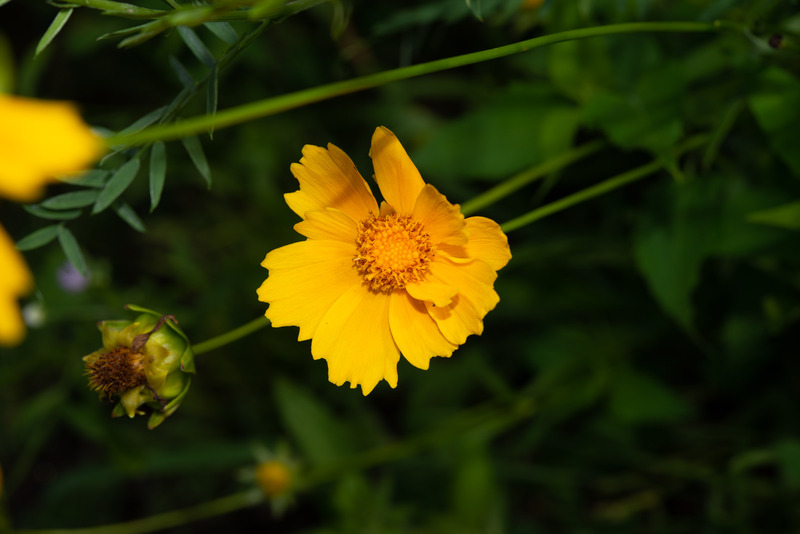 Lance-leaved coreopsis is a North American native, and a member of the sunflower family. 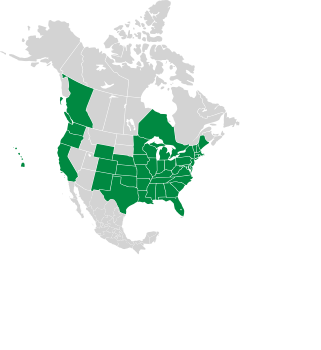 It has since become naturalized through much of North, Central and South America; as well as South Africa and eastern Asia. In parts of Asia, especially Japan, it is considered an invasive species. It appears on sandy shores and banks, grasslands, roadsides, and oak-pine savanna. They are popular garden plants, and many cultivars exist. Plants: Plants are 8-32" (20-81 cm) tall, hairless or hairy, erect or prostrate. Leaves: Leaves are 2-8" (5-20 cm) long, usually opposite but sometimes alternate near the top. Most leaves are near the base. 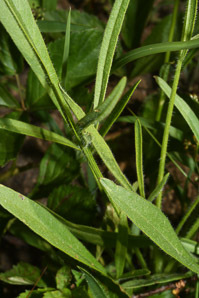 Some leaves are deeply cut, almost forming three leaves. They are sessile, and lance- or spoon-shaped, or narrowly oval. 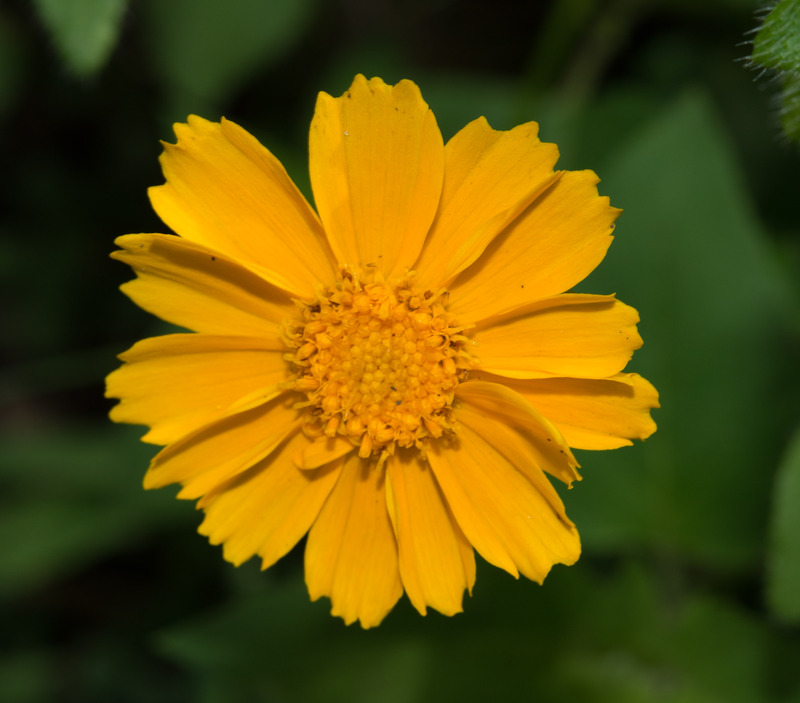 Flowers: These composite flowers consist of 6-10 yellow ray flowers, the “petals;” and yellow disc flowers, numerous tiny florets that make up the center. Each ray flower has four fused lobes, leaving three teeth at the end. 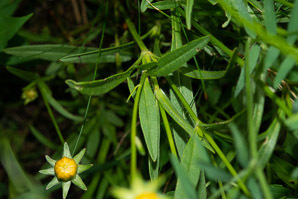 Flowers are 1-1½" (2.5-3.8 cm) around, sometimes larger. 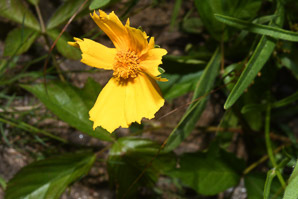 Flowers appear from May to July. Fruits: The disc flowers become brown flattened seeds (achenes) ¹/₃₂" (1.2 mm) long, with two small awns. Coreopsis lanceolata description by Thomas H. Kent, last updated 2 Jan 2019.